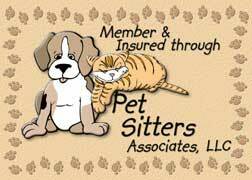 Dog Walker, Dog Runner, Pet Sitting Services Serving Southern NJ "&" exercise for your Dog! In addition to our dog running services, we also offer dog walking and dog sitting. Planning a vacation, let OutBound Pets take care of your dog while you're away! Is your dog in need of some good old fashioned exercise? Lets face it, walking them around the block for a half hour doesn't ever tire these canines out! What they need and what they desire is to run! Dogs love to play and at the very core of their playing process is running. Outbound Pets will meet with you and your dog(s) to evaluate the exercise needs and requirements of your pet. We will tailor a routine that suits your breed and budget. We can run your dog at a brisk pace for 20, 30, 40 minutes or up to 1 hour. We offer this daily or as your schedule permits. Our staff loves dogs and loves to run! Everyone at Outbound Pets owns a dog or several. We are dog lovers as well as fanatical about exercise. You can depend on the highest level of professionalism and take comfort in our current runner's credentials. She is a very active runner who loves dogs. Please call us to setup a visit and meet your runner. This initial consultation is free, without obligation! A well-exhausted dog is much easier to control and typically better behaved. After a run is a great time to begin training your dog.